What should I do after breathing in a lot of dust? This is an excellent question and the answer to it will vary depending on what type of dust you have breathed in. The truth be told, we all breathe in lots of dust everyday. Most dust will be filtered out by the hairs and mucus lining in your nose. However, dust that is inhaled from asbestos or fiberglass is another matter entirely. In this case, a trip to the hospital is imperative and without delay. Unfortunately, there is no cure for asbestos being inhaled but doctors may prescribe breathing treatments and medication to help with the symptoms. This is why companies exist where employees have the equipment and training to remove these materials safely. Working with wood and drywall can be dangerous because of the dust these material can create. Always wear a dust mask to prevent dust inhalation. Extended periods of breathing in the dust will potentially cause lung problems. 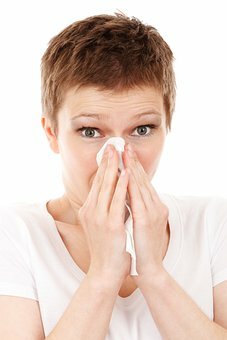 That being said if you breathe in too much dust from cleaning a dirty room you may begin to sneeze and/or cough which is your body’s attempt to remove the dust. If you went beyond what the body can expel by sneezing and/or coughing you usually will experience a sore throat. When this happens drinking a cool glass of water will help to flush your throat. Sometimes a cough drop will help the throat to recover faster. If breathing in a lot of dust around your home is a concern for you why not hire a professional cleaning company to clean your home and let them handle the dust.